In FYs 2010 and 2011, RACs reviewed 2.6 million claims and identified approximately 1.3 million claims with improper payments (50 percent) that totaled nearly $1.3 billion. The majority of improper payments were for overpayments related to services delivered in inappropriate facilities or providers billing incorrect codes on claims. The report also noted that a portion of the improper payments were the result of claims submitted for deceased beneficiaries. The report identified 46 vulnerabilities during the review time period. CMS took corrective action on 28 of the vulnerabilities but had not addressed 18 of them. CMS classifies any specific issue resulting in more than $500,000 in improper payments as a vulnerability and determines which vulnerabilities should be addressed based on several factors - such as improper payment amount and geographic scope. CMS did not take action to address six referrals of potential fraud in received from RACs. Further, CMS failed to evaluate the effectiveness of the corrective actions it did implement. 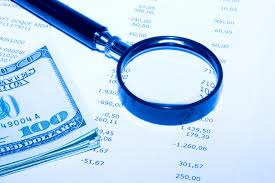 The OIG was also critical of CMS performance evaluations of the RACs claiming that they did not evaluate the extent to which the RAC identified improper payments. Specifically, there are no metrics in place to measure accuracy, ability, or effectiveness in identifying improper payments. Two provider types accounted for 93 percent of all recovered or returned improper payments: inpatient hospitals (88 percent) and physicians or non-physician practitioners (5 percent). Although, the large majority of providers did not appeal the denials (94 percent), almost half of the denials that were appealed were overturned. Develop additional performance evaluation metrics to improve RAC performance and ensure that RACs are evaluated on all contract requirements.